Exercise is an important component of every health and fitness routine, regardless of a person’s mobility. If you use a wheelchair, there are certain great exercises that you can use to keep your fitness level in peak shape. By exercising regularly, you will notice great benefits in both your mind and body. Here are some great tips that you can use to exercise in your wheelchair. When you are beginning your wheelchair exercises, it is important to always start with a warm-up. Muscles that are inactive can become strained if they are not properly warmed-up before an exercise routine. To warm-up in your wheelchair, stretch your arms gently over your head and across your body. Stretching is a great way to begin your wheelchair fitness training. Resistance bands are a great tool for many people who are exercising in wheelchairs. Because they are light and flexible, resistance bands are easy to transport and use in a variety of settings. When you exercise using resistance bands, you will build up muscle strength, endurance, and flexibility. You can use resistance bands to practice bicep curls, and many other types of stretches. Cardiovascular exercise is an important part of many wheelchair exercise programs. If you are seeking a way to increase your cardio, you may want to consider participating in a wheelchair sport, such as basketball or racing on the track. You may also want to consider taking a spin around your neighborhood for a great daily exercise boost. If you are seeking a wheelchair lift or ramp for your home, be sure to contact Williams Lift Company. We offer our NJ clients a variety of products and services, including stair lifts, chair lifts, ramps, and more. 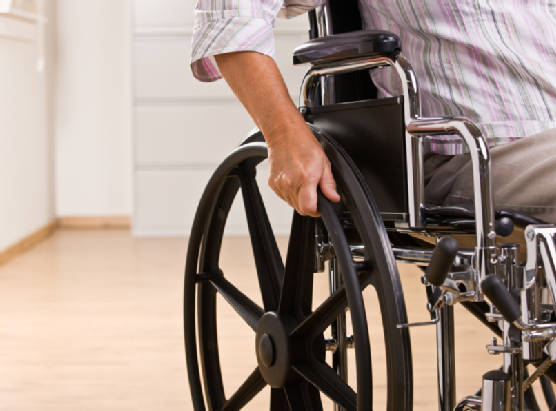 Give us a call at (908) 322-7070 to learn more about how we can help you with your wheelchair mobility needs.